My Auntie Jenny is a brilliant cook and she makes fantastic chutnies, jams and cakes. Today I went to give her a hand at a sale she was doing to raise funds for the Centre for Cancer Immunology in Southampton. 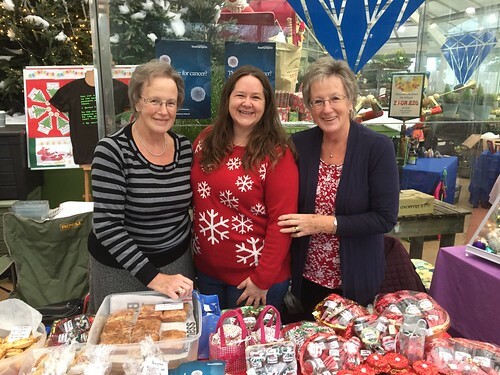 Her stall looked lovely and she had made a load of beautiful Christmas gift baskets which sold really well. I have to admit that I love a bit of selling. I feel it triggers my inner Apprentice candidate! I love charity events at which I can eat cake and drink prosecco. 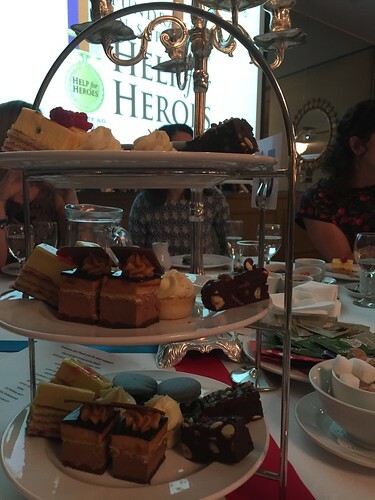 This afternoon I went with some family and friends to a charity event in aid of Help for Heroes. It was afternoon tea and was really good fun and the food was delicious. It’s well worth looking up some of the Help for Heroes videos on YouTube, especially the ones which show the cycling fundraisers. Such inspiring people but also there are some very funny bits! Thanks to all who organised it. Good job! In a couple of weeks my sister is involved with another charity fundraiser for This is Epic. Thankfully this fundraiser does not involve a single pair of trainers but instead plenty of cake and alcohol at a quiz! 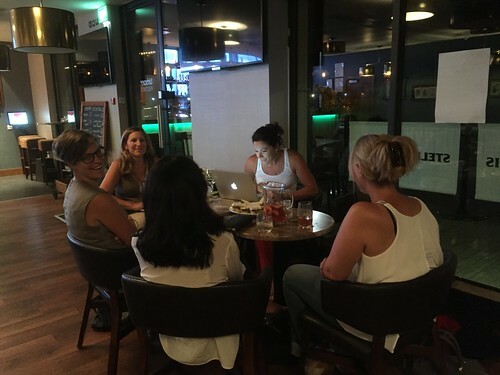 Tonight we had a planning meeting, in a pub, with gin. Perfect. Remembrance Sunday; such a poignant day remembering those who have died on our battlefields and protecting our country. A day at which we remember all those grieving families and those torn apart through grief and sadness. A day in which we can try and stand alongside them and show our solidarity and support. 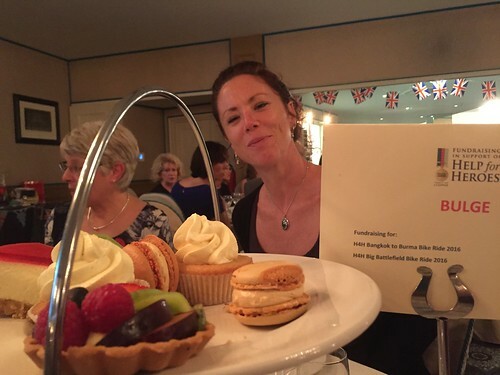 This afternoon I went out for a fab afternoon tea fundraiser for the amazing charity Help for Heroes. It was a brilliant afternoon with fab food and great company. Each table was named after a battle and rather disturbingly we were named after The Battle of the Bulge. It was like they knew! 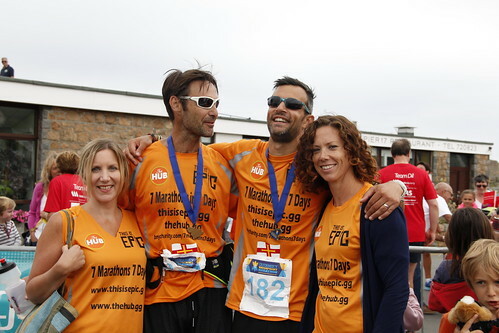 This is the boys just after the end of their seven marathons in seven days, with their amazing wives who have put up with them running all hours of the day, eating them out of house and home and running around after them whilst the marathons were going on. Not to mention having to put up with the complaining about the aches and pains. I reckon that the four of them have done a great job on this challenge. Well done! The boys have now completed 5 out of their 7 planned marathons for charity.. They are doing an awesome job but are completely shattered and their bodies are starting to fall apart. I think that they have found it harder than they ever could have expected and it is sheer bloody-mindedness that is now keeping them going. 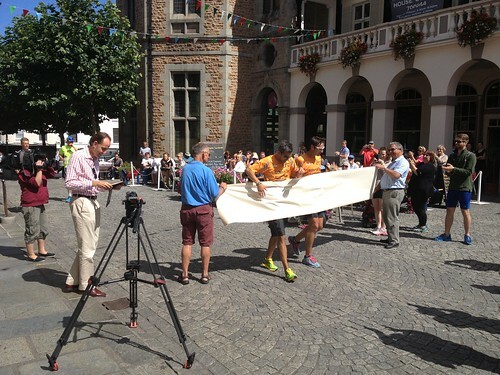 They now have to get through tomorrow and then it is onto their final marathon on Sunday which is also the Guernsey Waterfront Marathon. If they get that far then they should be carried along by the strength of the crowd of runners. 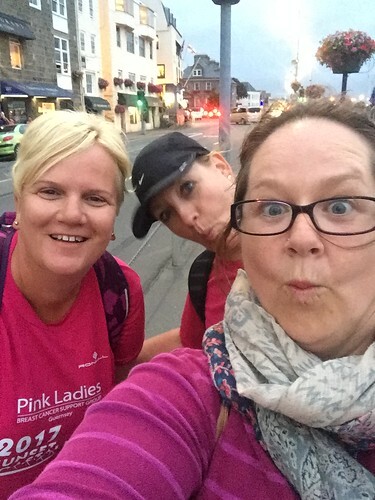 Until then, if you see them out running, toot your horn, give them a shout and a cheer and definitely donate to two incredibly worthy causes. They definitely need lots of support and encouragement to help them get to the end of this challenge. 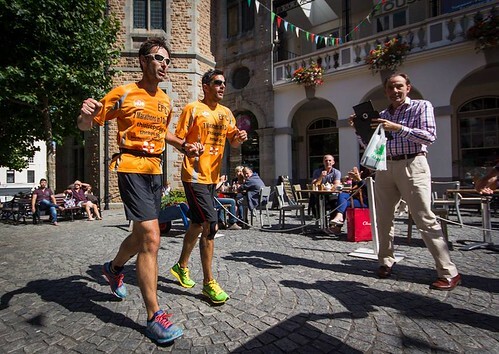 Philip and Warren are putting themselves through absolute hell to raise money for people less fortunate, both in Guernsey and in Africa. They are doing a great job, so put your hand in your pocket and flash the case! Today is my due date but The Little Miss is actually 3 weeks old. I can’t believe that I should still be pregnant. Life would be strange without her already! Today my brother-in-law and his running partner Warren started their 7 marathons and 7 days challenge. They completed their first one in 4 hours 34 minutes. For more info about their challenge go to www.thisisepic.org.uk and donate some cash! Well done boys. We are proud of you. Just 6 more to go.